Our customer Scott McClain made the cover of Classic Trucks for the March 2018 issue with his 1952 Chevy 3100 Pickup! This build started out with our Schwartz Performance G-Machine chassis. From there we inserted an LS3 with our 520hp package and a close ratio 6 speed manual trans. 13″ 6 piston Wilwood brakes and Forgeline wheels. 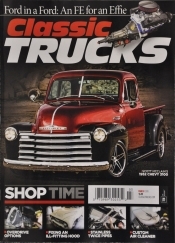 Check news stands for the March 2018 issue of Classic Trucks. 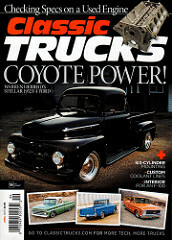 Our customer Warren Herreid made the cover of Classic Trucks for the April 2017 issue with his 1952 Ford F1 Pickup! This is a ground up build that we stretched, laid in a new wood bed bottom, added a Coyote motor and all on top of our Schwartz Performance G-Machine chassis. See the article HERE. 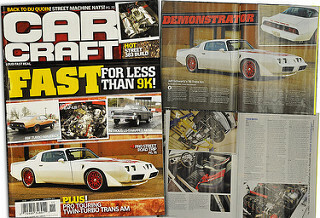 Our 1981 Twin Turbo Trans Am made the cover of Car Craft, November 2013 issue. Car Craft has featured many of our projects in the past. Read the stories HERE and HERE. 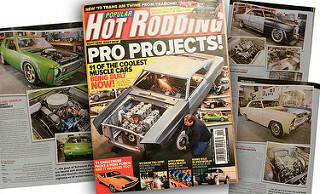 The April 2013 issue of Popular Hot Rodding featured 11 of the coolest project cars being built, THREE of which featured a Schwartz Performance G-Machine chassis. One was our AMC Gremlin project, (video HERE) and the others were (2) Chevy II Nova’s built by Nostalgic Auto Body and Route 66 Motorsports. 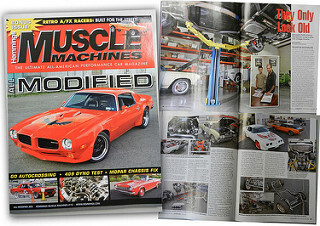 Hemmings Muscle Machines distributes an “All-Modified” issue of their magazine annually. 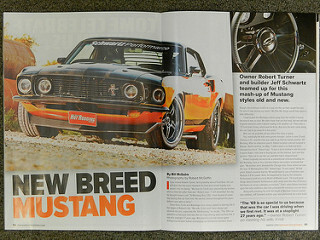 In the 2012 annual issue, Hemmings featured Jeff & Dale Schwartz as well as the shop happenings. 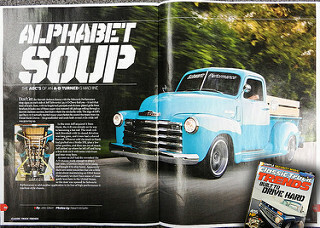 Our 1949 Chevy 3100 shop truck was featured in the 2012 annual issue of Classic Truck Trends, with photography by Rob McGaffin. 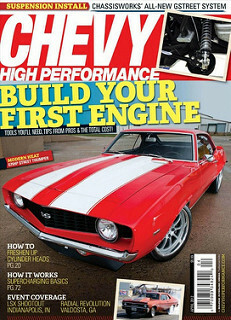 This beautiful 1969 Mustang Fastback was featured in the March 2013 issue of Popular Hot Rodding. This car was built by us, and featured a Schwartz Performance full-length chassis, 13″ brakes, Moser full-floating 9″, 3.70 gear with a Truetrac differential, Ford Racing 5.0 Coyote with a Ford Racing 624hp supercharger kit, T56 Magnum transmission, Forgeline wheels, Michelin tires, and a BeCool radiator. Check out our Completed Projects page for more information. 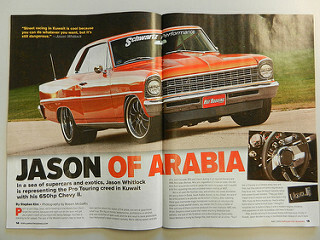 Our customer’s 1967 Chevy II was featured in the May 2012 issue of Popular Hot Rodding. This car features a Schwartz Performance full-length chassis, 13″ brakes, Winter’s aluminum center section, 3.70 gear with a Truetrac differential, Schwartz-built 650hp LS7, T56 Magnum transmission, Forgeline wheels, BFG tires, and a BeCool radiator. 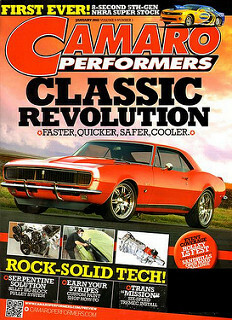 Check out our blue 1967 Camaro Convertible we built from the ground up in the January 2012 issue of Camaro Performers Magazine.